Krish Group has undeniably become the most reliable name in the real estate industry of the NCR. Krish Vatika and Krish City are two prominent projects of the Krish Group. We focus on giving assured assistance to our valuable customers by suggesting and choosing the suitable project as per their budget and comfortable location. Every one wishes to live in a peaceful environment to have rest in there weekends, stay with family . But Living in cities is becoming tough , for work people takes it as good but when it comes for daily living then it is not easy. That is why lot of people are looking positively towards residential property in bhiwadi. The properties in bhiwadi are an attraction point because of there amenities , less crowdy places and green environment. 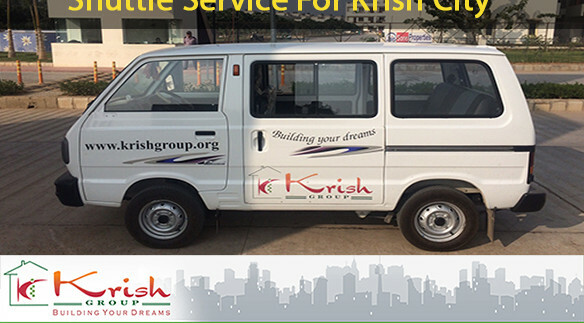 Note: This is the official website of Krish Group. Krish Group is not responsible/ liable for any information/offers/deals etc. marketed through any other website. Disclaimer: This is not a legal document. This website contains general information. None of the information on this website shall be construed as a legal advice. Further all Floor Plans, Site Plans, Specifications, Amenities, Facilities, Photos, Perspective View and Other Content are tentative in nature and are subject to revision if required or suggested by our consultants. Copyright © 2019 Krish Group. All Rights Reserved.